This summer many of our hotel guests are preparing for their nests to empty. As always, The Half Century Mark attends to your needs, offering doses of creativity and good humor to get your through important life change units. We recommend finding a new passion (like photography) and dressing up like your favorite Tim Burton character. It helps to reset your focus. Empty nests are still useful vessels and very beautiful. 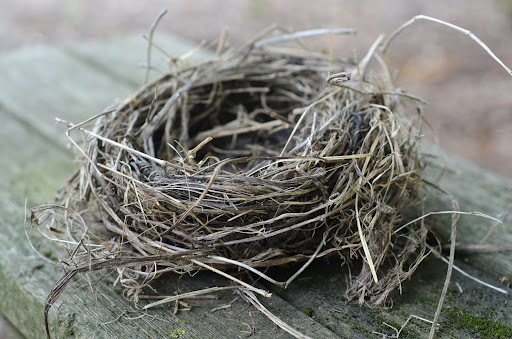 Beautiful nest, for many of our animal friends it is an empty nest time. Birth and growth are complete and now it is time to fly!